setback for the Kings’ offense. He led the team in scoring last season, with 32 goals and 66points in 82 games but is now out long-term with no return in sight, due to a leg injury. This was a huge blow, but all hope is not lost, as the Kings have risen to the occasion. They are presently in first place in the Pacific Division (21-10-4), good for third place in the Western Conference, and fourth place in the league overall. The Kings’ recently had an eight-game win streak; the longest by any team in the NHL this season. The streak was snapped when they suffered a 5-1 loss in a road game against the New Jersey Devils on Dec. 12th. Looking at the somewhat surprising success of the team thus far, Kudos must go out to head coach John Stevens, who took over the reigns this season after Darryl Sutter was fired in the wake of a disappointing 2016-17 season. So far, it seems as though the fresh voice and perspective have steadied the ship. Also give credit to team captain Anze Kopitar, who has risen from the ashes like a phoenix. He is top ten in the league in scoring, in both both goals and assists. The Slovenian star already has 17 goals 35 games. Last season, he managed just 12 goals in 76 games played. 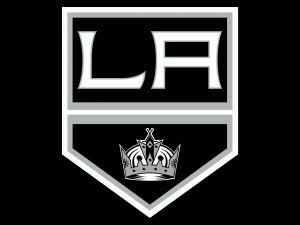 General manager Rob Blake, who has taken over for deposed GM Dean Lombardi, is also contributing to keeping the team on course, by making some trades and acquisitions to add to the team’s momentum. Most recently, defenseman Jordan Subban was acquired from the Vancouver Canucks in exchange for forward Nic Dowd. Prior to the trade, the latter had registered one assist in 16 games played. Subban, who was drafted by Vancouver in 2013, has yet to play in the NHL, but has scored 27 goals in 148 career AHL games – The younger brother of Nashville Predators’ Star defenseman P.K. Subban, Jordan will continue his development, while playing for the Ontario Reign; the Kings’ AHL affiliate. Earlier in the season, the Kings acquired veteran forward Jussi Jokinen in a trade with the Edmonton Oilers for Michael Cammalleri. A later deal saw Blake acquire well-traveled forward Torrey Mitchell from the Montreal Canadiens, in exchange for a conditional pick in the 2018 NHL Draft. These two November deals, preceded the team’s eight-game win streak. The Kings’ record was a slumping 1-6-1 in November before their winning streak began with a victory against the rival Anaheim Ducks at Staples Center on Nov 25th. “In general, you learn more from losing than you do from winning,” Kings forward Dustin Brown said. “I said that about teams before we won Cups. We had to lose a lot to understand what it took to win. Guys had the right mindset and attitude coming to the rink,”. As the year 2017 winds down, there is still a lot of hockey yet to be played in the 2017-18 regular NHL season. With four games left to play until the new year, and 35 of 82 regular season games played, the Kings lead the Pacific division and seem very much playoff-bound. This entry was posted in NHL, Uncategorized and tagged anze kopitar, lakings, NHL, staples center, steve lieberman. Bookmark the permalink.